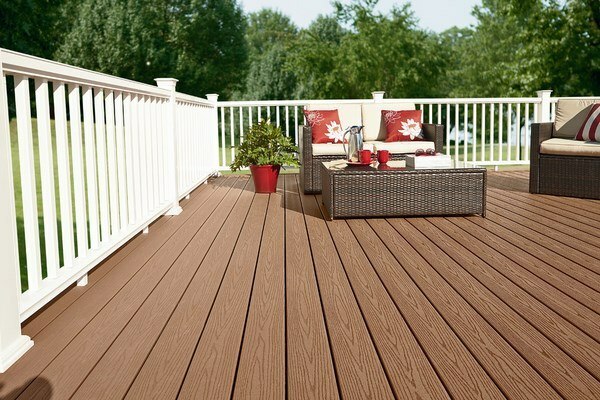 Composite decking is a popular choice as it provides a very good look, the surface of the deck is easy to clean and maintain and when installing a deck you are certain that it will serve you for many years. 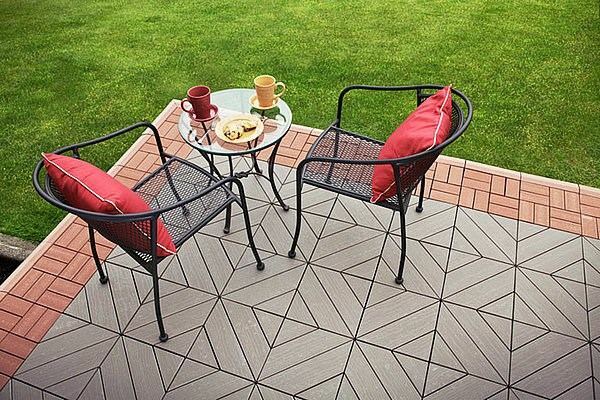 Composite materials are gaining popularity for many reasons and we shall offer you a review of the advantages and disadvantages of composite decking, we shall look at the benefits that you will have, we shall give you some useful installation tips as well as maintenance ideas so that you make the most of your investment. 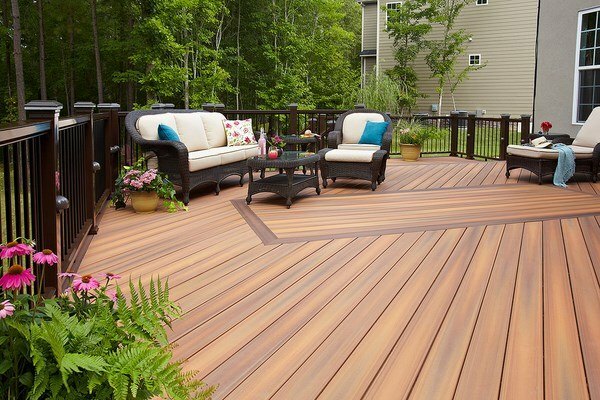 What is composite decking and how composite materials are made? 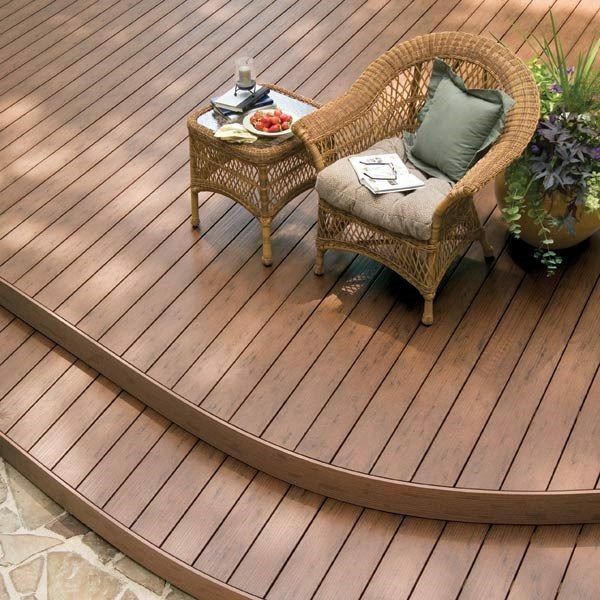 The appearance of composite decking materials dates back to the 1990s when they were first introduced. 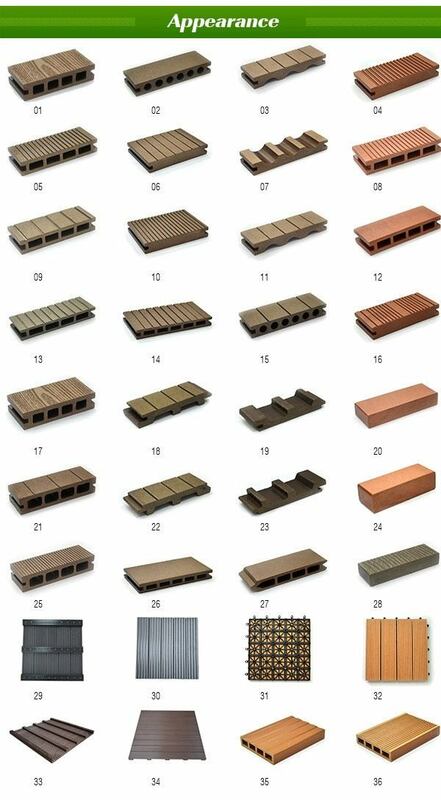 The technology developed rapidly and the components for manufacturing composite decking materials have developed a lot. 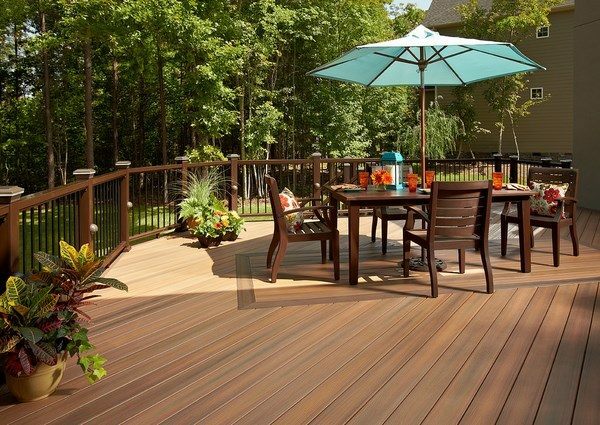 Modern decking materials are manufactured from plastic and cellulose fibers (ground-up wood) and these are combined with natural or recycled products. Nowadays, the market features many brands which have specialized in the manufacturing of such materials. 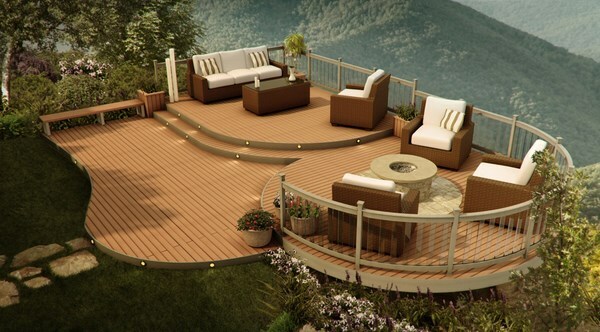 Composite decking may contain different amount of wood and the total percentage of timber and other components in the composition can vary from 50% to 80%. Those are mainly waste materials from the timber industry – sawdust, shavings, wood chips, wood dust, etc. which result from wood processing. All waste is recycled to fine flour and chips with fractions of wood sized between 0.8-2 mm. The binding component could be PVC, polypropylene or polyethylene and depending on that, these materials are divided into types and bearing different names. 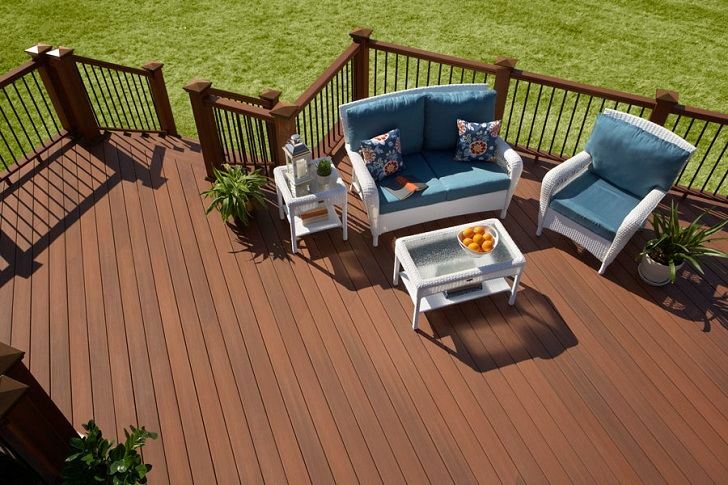 Although often advertised as an environmentally friendly product, decks come in different types and may contain recycled wood and recycled plastic or a mixture of those, and some materials may not contain any wood at all. Those, containing PVC, for example, cannot be considered as environmentally friendly while composites which contain more than 70% wood may be treated as ordinary wood. 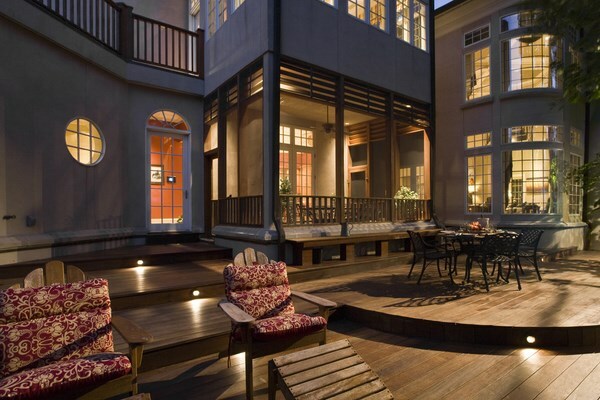 What are the advantages of composite decking? 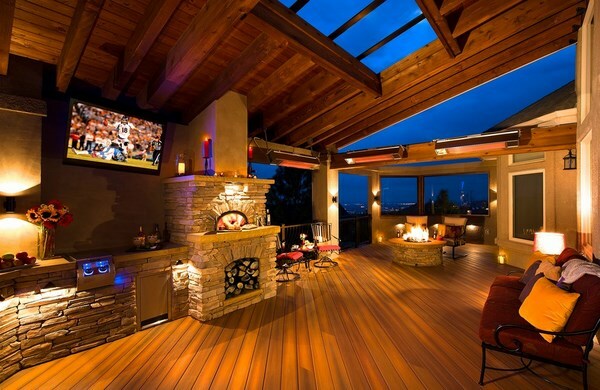 When choosing the best decking for your patio, balcony or rooftop deck you have many available options. 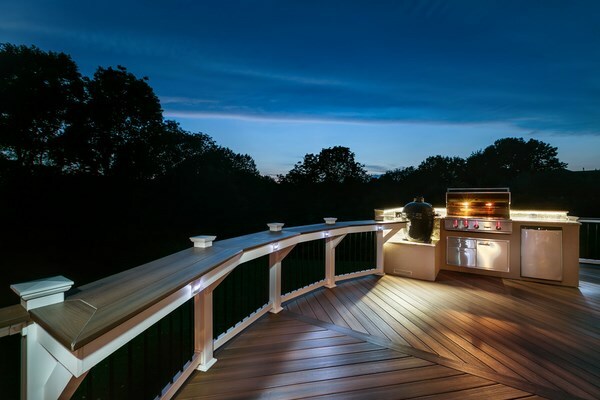 Each one has its pros and cons and depending on your budget, personal taste and preferences, climatic conditions for your area, etc., you can choose between solid wood decks, ipe decks, vinyl decks or composite decking. 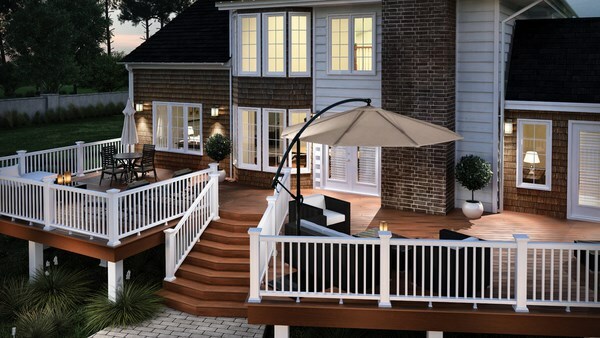 Let’s have a detailed look at the advantages of composite decking and the benefits for the homeowners who have opted for that type of decking material. 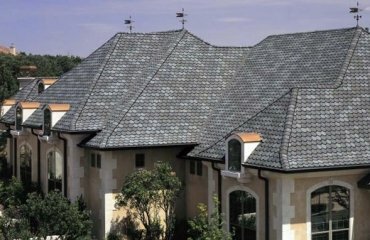 Durability, life span and major properties – these are among the major pros. 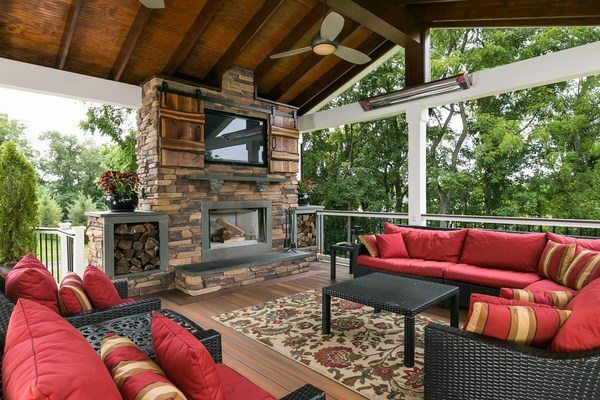 Unlike natural wood decks or deck materials based on wood – plywood, chipboard, MDF – which are influenced by the elements, composite decks are resistant to humidity and water does not make them swell, bulge and rot. The material is waterproof and resistant to salt water corrosion. 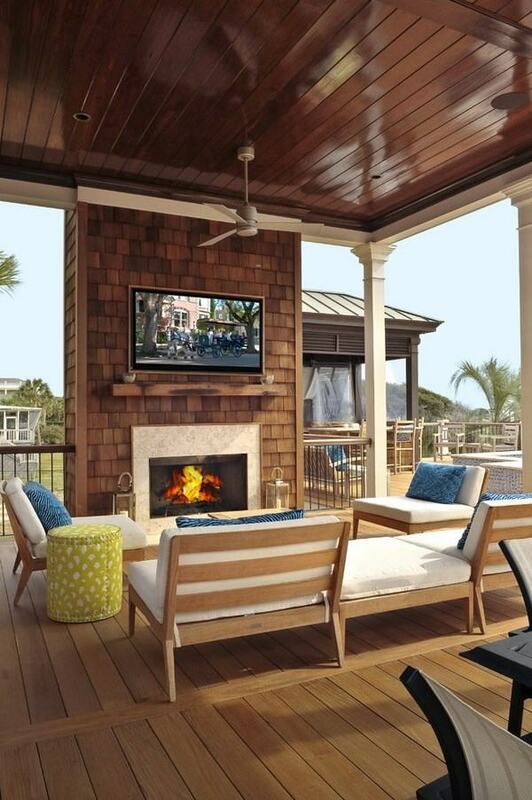 The decks are resistant to temperature changes, heat and cold and does not fade or lose color. 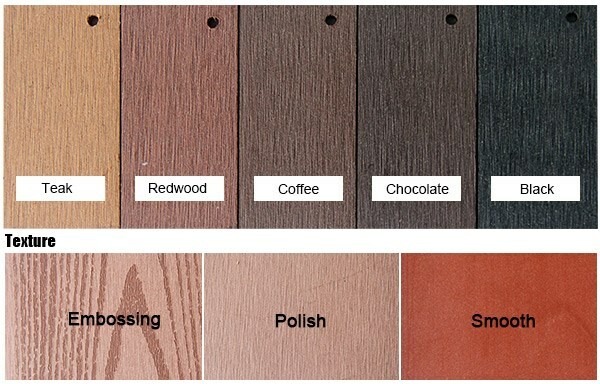 The color of the boards lasts much longer than traditional wood stain or paint. 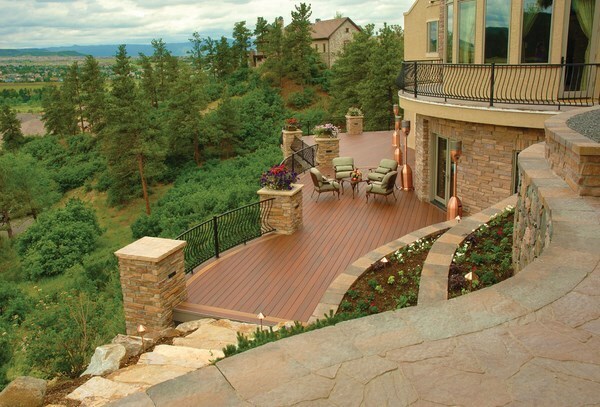 In addition, composite decks do not splinter or crack, due to the dense and strong structure and the lifespan of the materials is considerably longer compared to wood alternatives and according to the manufacturer, your deck may last up to 50 years. 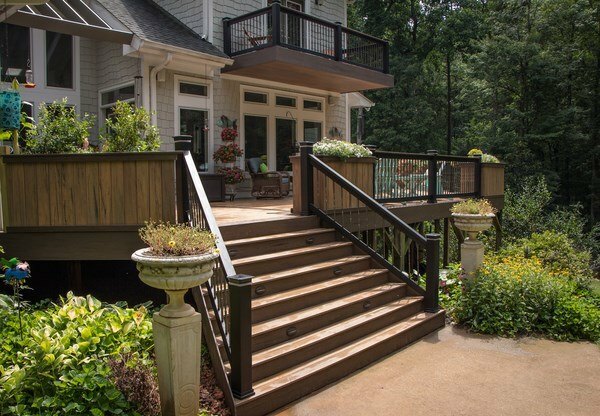 Wood plastic composite (WPC) is anti-static, resistant to fungus or mold growth, insect attacks and rodents which is another advantage. The surface is soft and feels comfortable to walk on barefoot. Many composite decking options are manufactured with a non-slip surface, whether wet or dry, which makes them the ideal solution for wet areas. Due to the presence of flame-retardant additives in the structure of composite materials they are classified as hard flammable. It does not mean that the deck does not burn. It does, but at a much higher temperature than wood. 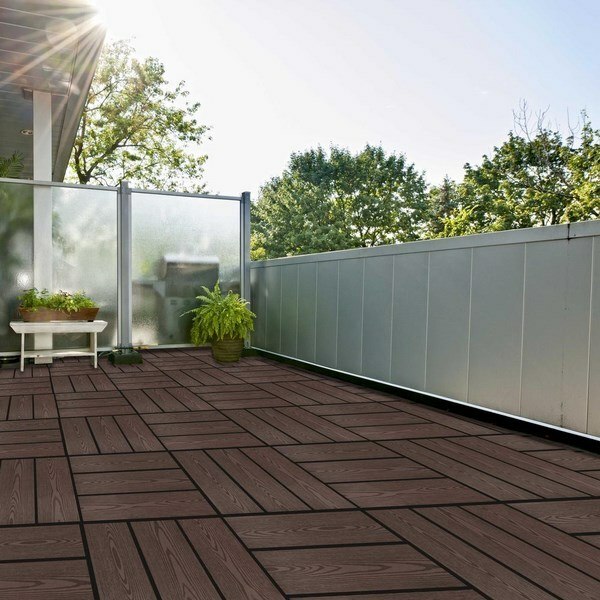 Appearance – composite decking comes in a wide range of colors and textures and you can find the right pattern to match perfectly with your home’s exterior. 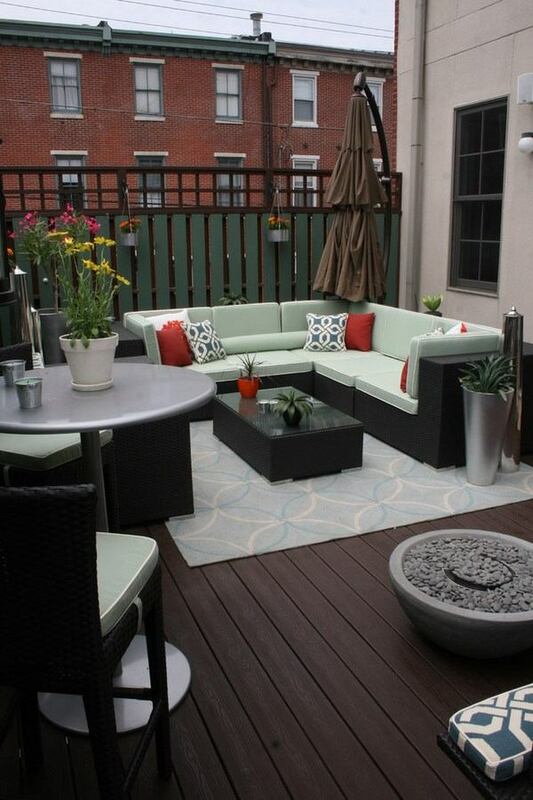 Nature-inspired colors including tans, grays, browns and classic earth tone colors give more opportunities to make an original and unique patio deck, rooftop deck, etc., and add style and character to your outdoor area. You can find options which are manufactured to mimic the appearance of wood species such as Cedar, Redwood, Maple or Oak or exotic varieties like Mahogany, Ipe and Mangaris. 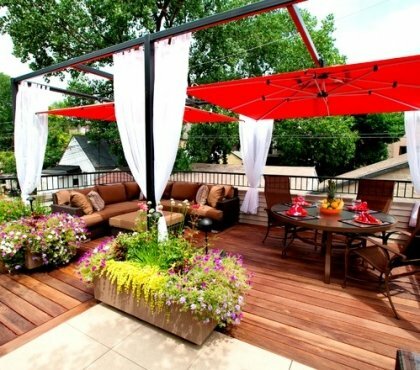 Experts advise that you choose lighter colors, especially if you live in an area with long and hot summer season and lots of sunlight as these decks feel cooler to the touch. 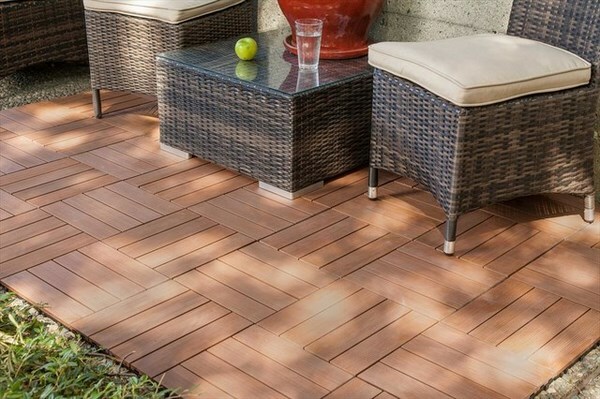 As far as texture is concerned, composite decking comes in a variety of textures as well – the boards can range from smooth to matte or highly textured surfaces and natural wood-grain patterns. 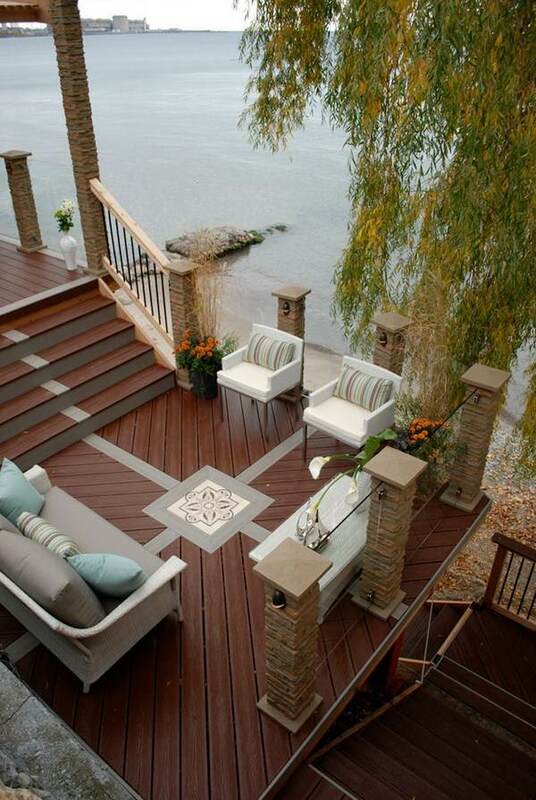 When choosing a deck, its texture is important, especially when you choose a pool deck, for example. 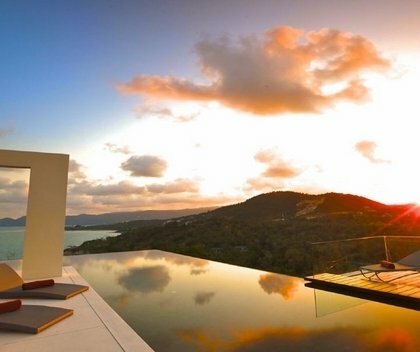 In this case you’d want to have boards with a non-slip texture which is of great significance for the safety of the pool deck. 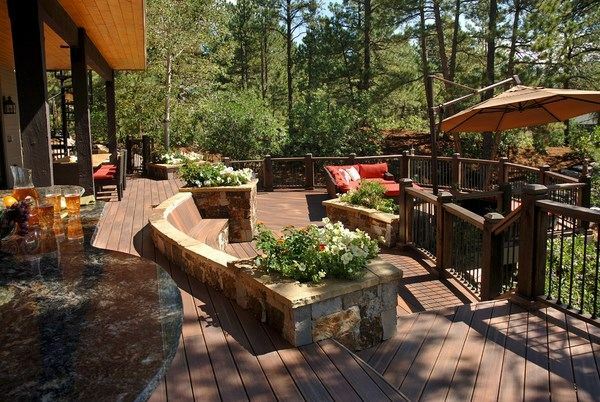 Maintenance is, perhaps, the biggest advantage of composite decking. 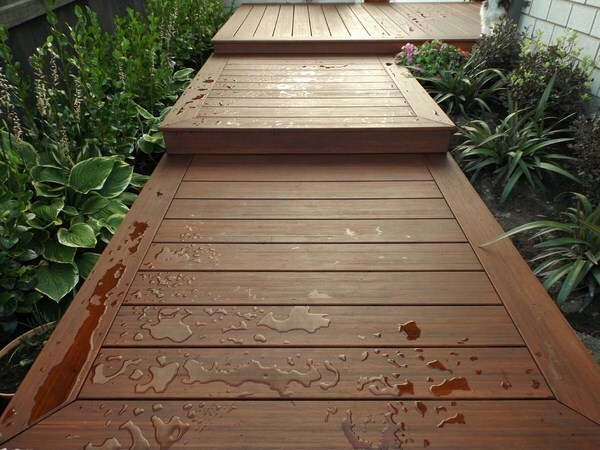 Actually, the lack of maintenance attracts homeowners to this type of decking as no sealing, sanding, staining or painting is required. To maintain your deck, all you need to do is only an occasional cleaning with soap and water and sweeping away any tree leaves or debris. 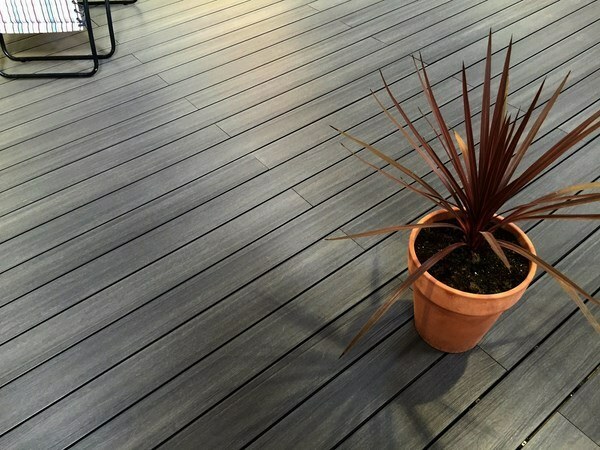 Environmental friendliness – as we said, composite decking is in most cases environmentally friendly as many companies use recycled materials in the manufacturing process. Waste plastic like used plastic milk jugs and shopping bags and recycled wood waste make the material eco-friendly. What are the cons of composite decking? 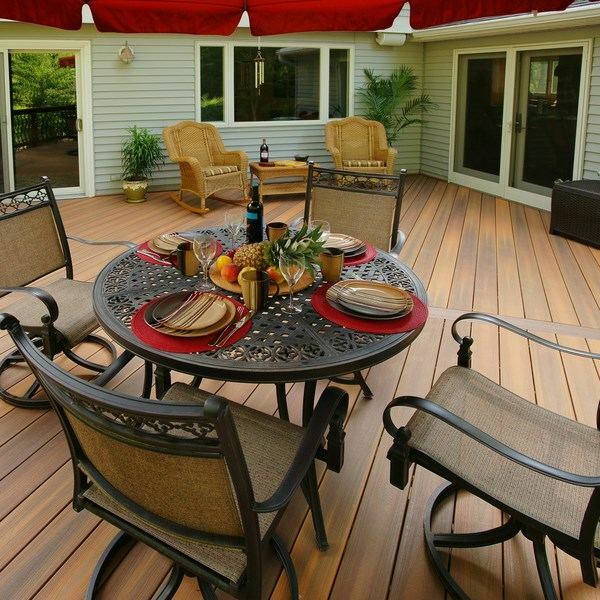 Like any material, composite decking offers many benefits, but has its drawbacks as well. On the first place, to many people, the fact remains – this is not a natural material and contains a fair amount of artificial materials and chemicals. 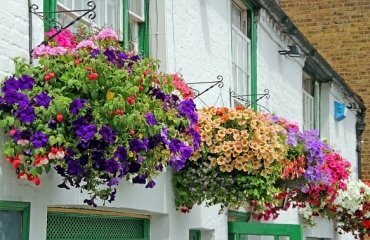 The composites containing PVC are far from being environmentally friendly or biodegradable. Another disadvantage is that unless the composite materials have been treated with preservatives, they still would rot over time. The most common preservative, zinc borate, is a chemical which is poisonous to many of the fungi which make wood rot. 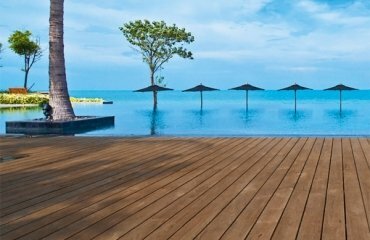 Composite materials mimic the appearance of wood but they are not real wood and a close look reveals the artificial origin of the decking planks. 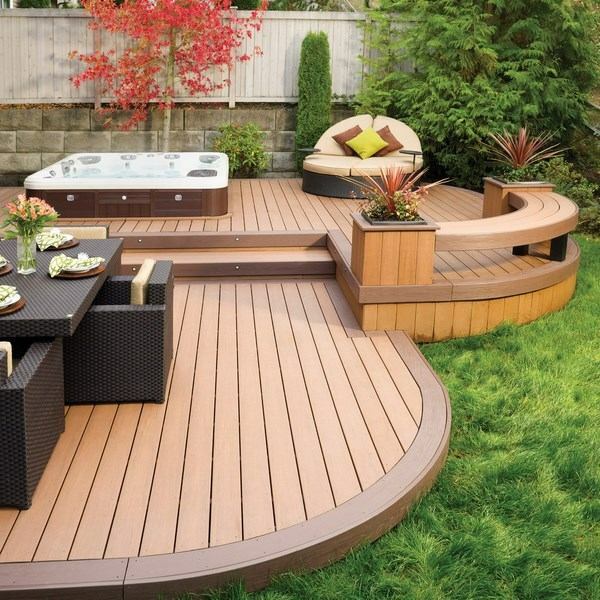 Those, who want to have the real thing may feel unsatisfied with the look of composite decking. 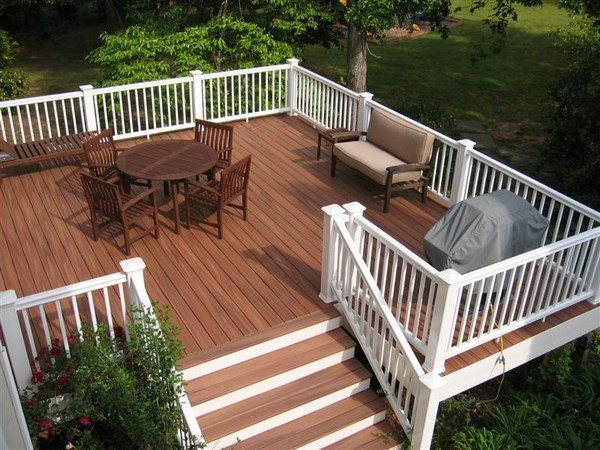 Composite decking planks are also much heavier than identically sized wood planks and this requires a stronger frame. In addition, this is is not a structural material. It does require a frame and special hidden fasteners. Further to that planks that are attached with hidden fasteners are very hard to replace. 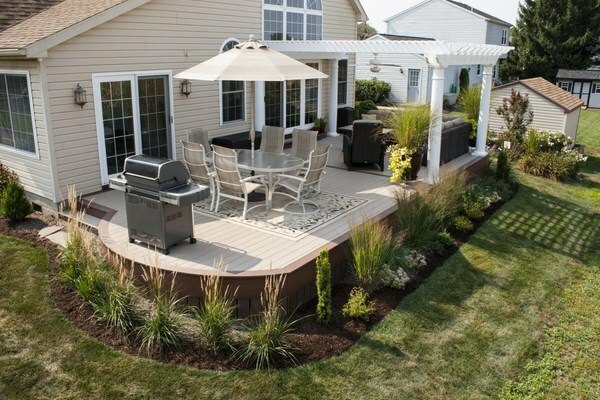 Durability and resistance are among the major advantages, but you should know that hot coals can melt or deform the deck. 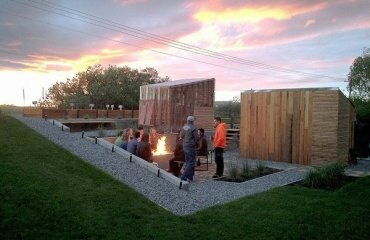 This is an important consideration for those who look for a suitable decking option for an outdoor kitchen, fire-pit, or an outdoor fireplace. In addition, planks can be easily scratched and you should be very careful when moving furniture, for example, as composite decks cannot be sanded. 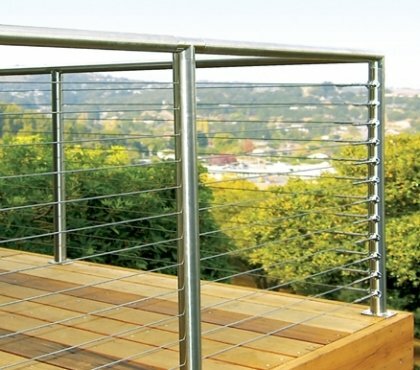 Price is another con as composite decking may cost two, three, even five times more than a pressure-treated wood deck. 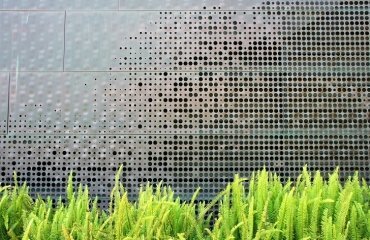 The surface has a smooth and even appearance, it is not slippery and due to the textured surface it is safe for walking even in wet weather. 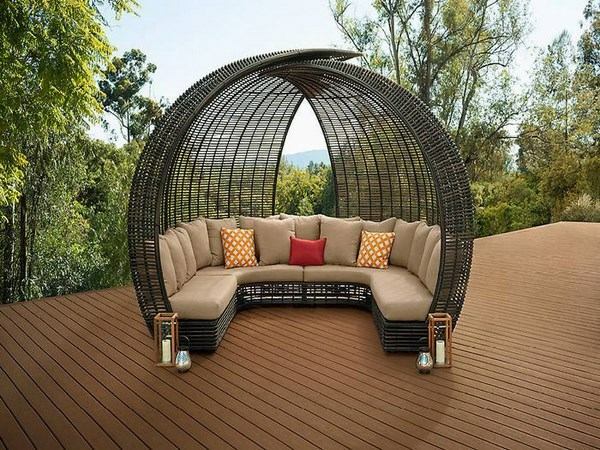 The deck is resistant to temperature changes, it does not burn easily, and high end products absorb heat which makes the deck pleasant to walk on in hot summer days. 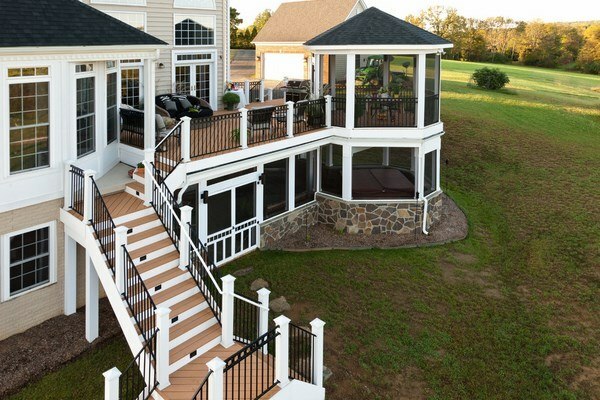 Decks do not rot, does not bulge, and is resistant to fungus and mold. Last but not least, composite decking is a low maintenance option as it does not require special care and you can maintain it clean with plain water. 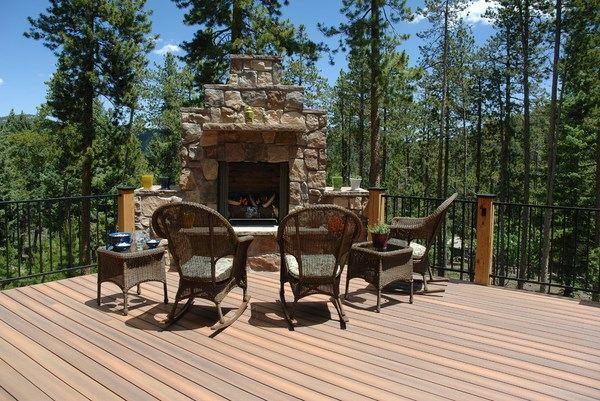 When choosing the right decking material for your outdoor area, you need to start with answering a few important questions. How do I plan to use the deck? Is the deck going to be installed in a sunny or a shaded area? How do I maintain the deck? 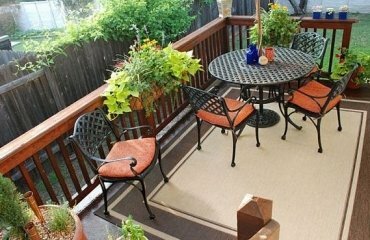 What am I willing to pay for the deck itself and for the installation? 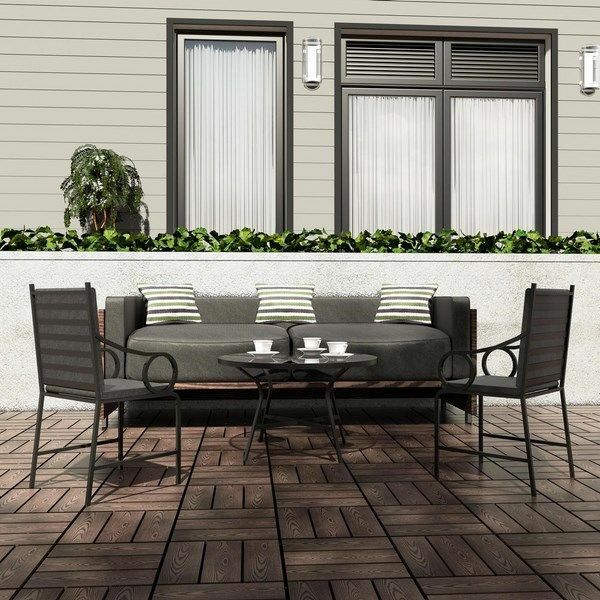 Choosing a composite decking should be based on the budget that you have and you need to keep in mind the overall exterior design and style of your home. 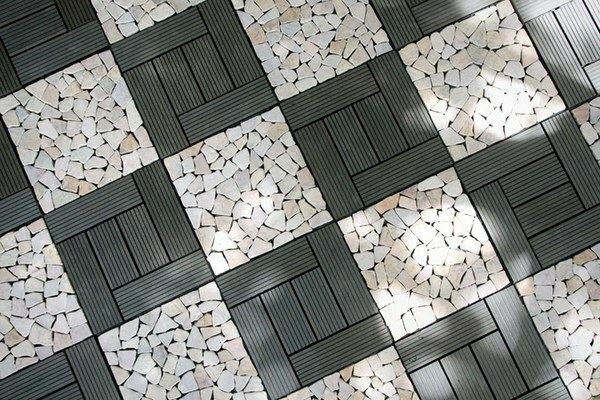 You need to choose the color, texture, type of fasteners so that the result works with the landscape of your patio or the architectural style of the building.